Here in the Office of Institutional Advancement, we are always working hard to support the university and connect our donors with causes they care most about. We would like to introduce our donors — to whom we are so grateful — to the people who help make those things happen. 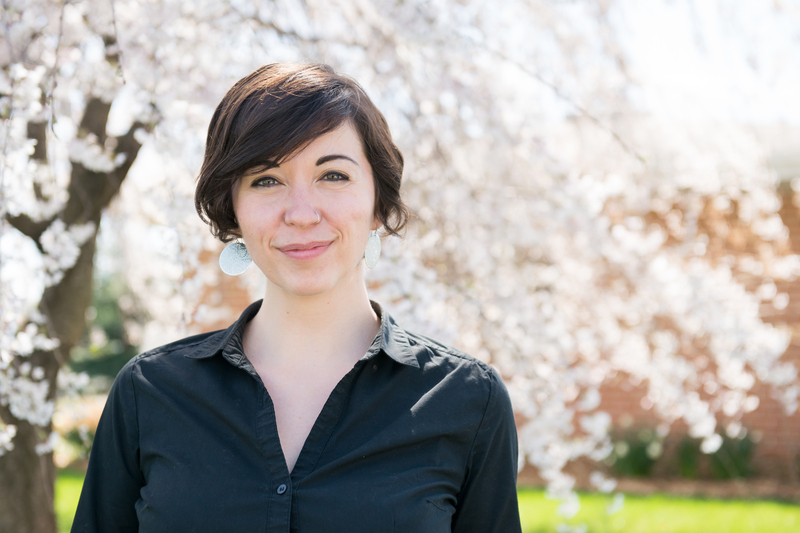 Today, we’ll be hearing from Leanna Powell ’08, English, who has just returned to UMBC as our Assistant Director of Annual Giving. Where are you from originally? I grew up in southern Maryland near D.C., but I consider myself a Baltimore gal now after 10+ years in the city. What do you love most about UMBC? In a city so packed with higher ed institutions, UMBC feels like a well-kept secret. The campus is serene, the people are sweet and low-key, and yet you see student and alumni achievements popping up all over the state in the arts, research sciences, and public policy. Light City is a great example — I’m excited to get to rep for my college at the Inner Harbor. What’s your favorite thing about your job? I majored in writing, but immediately got swept up by nonprofit work, so I’m glad to have the chance to put all of my professors’ hard work to good use (shoutouts to Chris Corbett, Jody Shipka and Orianne Smith!). I have also spent a lot of time working with student philanthropy on the nonprofit beneficiary side, so I’m glad to get the chance to apply that experience in helping Retrievers fundraise for their own amazing projects through our campus crowdfunding site. Who do you admire and why? Tina Fey and Amy Poehler are two of my biggest idols. To me, they represent a generation of women who are comfortable being smart, funny, and supportive of one another — and aren’t afraid to speak up or to take criticism. Have you ever done anything crazy or out of the ordinary? Now that we’re in short-sleeves weather, some of the first things people notice about me are my tattoos. Most of them have a lot of personal significance, but I did get one on impulse one afternoon with a friend — matching dinosaurs, to remind us not to take ourselves too seriously. Tell us what you loved most about UMBC on Retriever Stories!